Surprised! Taylor Swift just performed our old high school jam, ‘Hey Stephen’ 2008 Called. Watch her fans freak as she performs the oldie in St. Louis on Sept. 18, during her ‘Reputation’ tour. Thousands of Taylor Swift fans poured into downtown St. Louis Tuesday night for her concert at the Dome at America’s Center. Set up for the concert began last Thursday. Swift connected with her St. Louis fans on a local level Tuesday night. Taylor Swift tells fans during concert why St. Louis is so special to her. St. Louis concert goers didn’t see this coming! 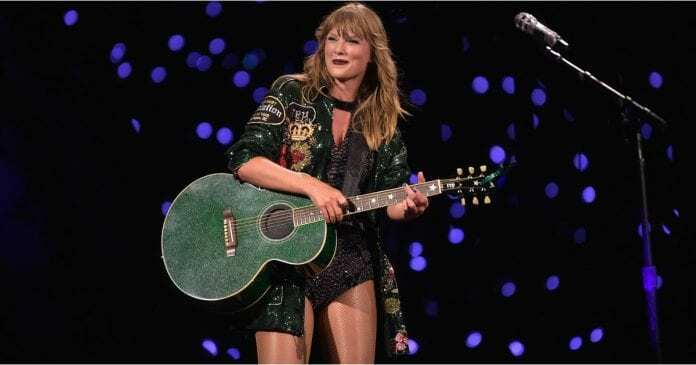 Taylor Swift, 28, sang a rare gem from her 2008 album Fearless, “Hey Stephen,” at the Reputation tour stop in Minnesota on Sept. 18. She’s rarely performed the throwback after her Fearless tour concluded in 2010. Understandably, fans roared when Taylor took the B-stage and revealed the surprise song. You know, the same slow jam we used to get over our unrequited loves in middle school. Or maybe even graduate school — hey, Swifty stans come in all ages! And Twitter users are having just as explosive of a response. But one fan tweeted what we’ve all been thinking: “HEY STEPHEN YOU DUN GOOFED CAUSE YOU COULD HAVE DATED TAYLOR SWIFT.” A decade later, and we’re wondering if Stephen has finally noticed Taylor. You can’t ignore the statistics from her Reputation stadium tour! Taylor’s Reputation tour, which kick started on May 18, earned her the title as the woman with the highest-grossing United States tour. It earned $191.1 million as of Aug. 22, the Recording Academy reported. Taylor beat her own record, which her 1989 world tour in 2015 originally set at $181.5 million, the outlet also reported. The “Delicate” singer has four more shows on the North American leg of her tour before performing in Perth, Australia on Oct. 19, then finishing the tour in Tokyo, Japan on Nov. 21. As Taylor’s fans you just Surprised as she broke out this old hit, Hey Stephen Song? We Hope so. Previous articleTop 10 Most Beautiful & Hottest American Women of USA in 2018: Checkout!